Kenichi Watanabe's debut is a documentary as it should be. An elaborate concession of events, stripped of any artistic additions, through actual footage of the events described, and analyses and opinions from experts on the subject, through a well-spoken narration. 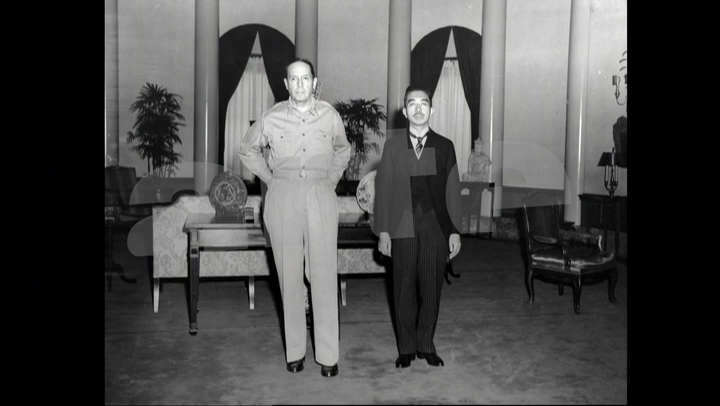 In that fashion, the documentary begins in August 15, 1945, when Emperor Hirohito spoke through the radio to the Japanese people for the first time, signaling Japan's surrender, and the end of the WWII. This announcement initiated a succession of events, which had the US, under general McArthur, occupying the country, with the purpose of demilitarizing and democratizing it. 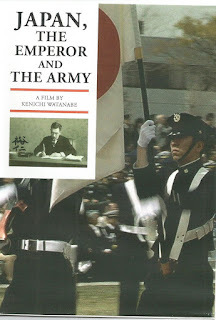 The documentary follows very closely the events that led to the first Japanese Constitution, particularly the agony of both Japanese politicians and the general population for retaining the status of the Emperor, a request that was eventually granted, in the first article of the constitution. 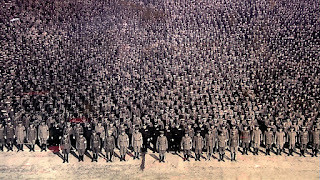 However, the point of friction came from article 9, which stated that Japan would not be able to maintain any kind of army. Although the implementation of this article lasted only until the Korean war, it remains still on debate regarding its correctness, with a number of individuals, nationalists mostly, considering that they are still under occupation since the country cannot have its own foreign policy, and others considering it as a testament of Japan abolishing its militaristic past. 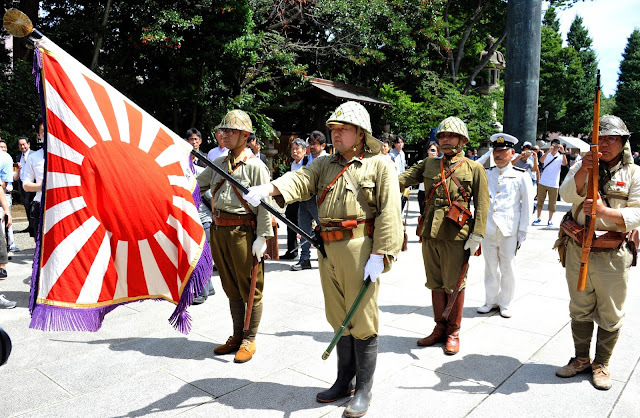 The Yasukuni shrine, a temple dedicated to the fallen Japanese soldiers is another point of friction, particularly after the names of the heads of the Japan military who were put under trial and convicted as war criminals were added. Particularly the official visits of the latest Prime Ministers in the temple have been deemed as an offence by the Chinese and the Koreans, who consider the act as an embrace of the crimes the Japanese army committed during the war. At the same time, the political history of the country is also highlighted, through the first elections after the war, where women voted and the socialist and communist parties were among the candidates for the first time. However, the documentary also makes a point of stating that, despite all this controversy and uncertainty regarding the army, Japan has managed to flourish financially and even has the fifth largest army in the world. Kenichi Watanabe implements a traditional presentation, which seems to fit his subject perfectly. The concession of information is constant, highlighting Japan's history as thoroughly as possible. The interviews from experts shed additional light to the events and highlight some of the personal opinions regarding the issues presented in the film. The highlight of these interviews comes through a survivor of the war, a kamikaze who states, "I was planning to die and then had to live", in a phrase that synopsizes the majority of the sentiments the soldiers who survived had. The interview of the women responsible for the writing of the constitution is also very interesting, as it presents the way the Americans worked towards this specific goal. Fabrice Tabourier does a splendid job editing the different footage of the documentary, retaining a relatively fast pace throughout its duration. Emmanuel Valette's cinematography focuses on depicting Japan as it is today, presenting some impressive, panoramic images of the Yasukuni shrine and Tokyo during the night. 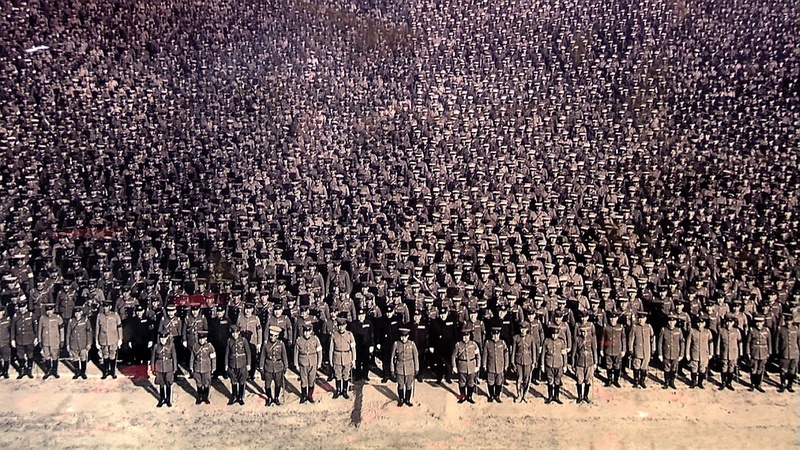 Additionally, Feodor Atkine's narration of the events provides the documentary with a very fitting soundtrack, as it emits dignity and seriousness from every word. "Japan, The Emperor and The Army" is a great documentary, an essential source of information for anyone interested in the events that led to the political, military and socioeconomical status of modern day Japan.